Job searching in competitive markets can be tricky. 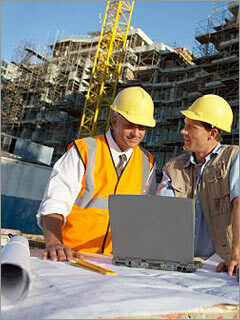 In the construction and development industry, attention to detail is critical. Everything has to be carefully planned and executed to be structurally sound. A building without a solid foundation is destined to fail. An arch with a weak keystone won't hold. Likewise, a resume without the necessary building blocks is not likely to make an impression. Here are a few tips for ensuring your resume is effective and tailored to the industry. Errors on a resume are rarely forgivable, but in the construction and engineering industry, they're a huge no-no. Your projects depend on your ability to identify and troubleshoot even the most minute details. This is one area where you shouldn't cut costs. Have someone help you check for grammatical and/or formatting errors, or hire a professional editing service if necessary. The objective statement is an effective feature in some industries, but not necessarily in construction. Remove this section and replace it with a summary of your experience and qualifications. This information is more important to hiring managers than an objective. Furthermore, your resume should be concise, so use this precious space to highlight your most marketable credentials. Arguably, the most important part of your resume is your list of key accomplishments. How you deliver this information is vital. Focus on what the outcome of your project was. Did you help develop a new system or process that saved a measurable amount of money? Did you finish a project ahead of schedule and under budget? Aside from your list of accomplishments, you should also include a list of projects. Include a short description of the project along with its outcome. Depending on your experience, you may have more than one page of projects. If that's the case, it should be included as a separate component to the resume. Want more tips for building an effective resume? Contact us today.